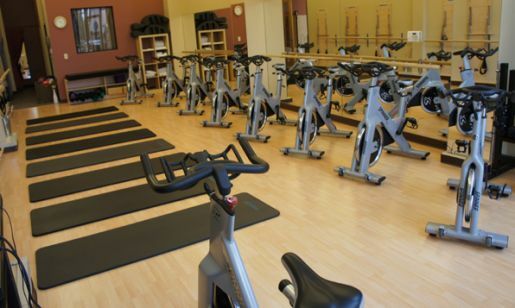 Breakaway Indoor Cycling is a small and intimate studio located in Encino. What makes their cycling classes unique from others is that all the instructors are cycling and pilates certified, which allows them the freedom to mix things up a bit. All classes have a maximum of eight students, which guarantees that everyone will get one on one attention. There are multiple instructors, and classes are offered seven days a week, some as early as 6:30 in the morning. The prices are very affordable with packages averaging from $13-$15 a session. Don’t forget that your first class is free and spin shoes are not required! I took my very first Breakaway Indoor Cycling class on Memorial Day, and was frightened and overjoyed that I was only one there. It was an early class, 6:30 on Monday morning, most people were probably resting for their upcoming BBQ’s throughout the day. I was lucky enough to have Mike as my instructor for the 50 minute ride! Mike’s music selection was awesome, and he was very particular about always having proper form. We were having so much fun spinning that our class ran over a few minutes. We did about 10 minutes of pilates infused abs and stretching at the end of the class and it was only 7:30 and my day was already off to a great start!